I’m going to start this blog post by giving you a GUSH ALERT. If you choose to continue reading, you will hear me gushing about a book I read last week–a book I’ve been dying to share with you. In fact, as I finished reading it, what came to mind was…this is a book that all the humans should read! So, if you can’t handle my enthusiasm, this might be the time to slowly step away from your lap top. You’re still here? Excellent! Then I’m so excited to tell you about BIG MAGIC by Elizabeth Gilbert. This book called to me. Certain books do. The ones I’m supposed to ready will pop up in my direct and peripheral vision over and over again. People will casually and even directly mention them to me until I pick those books up. Big Magic was one of those books that demanded I read it. And as always–I’m so glad I did. 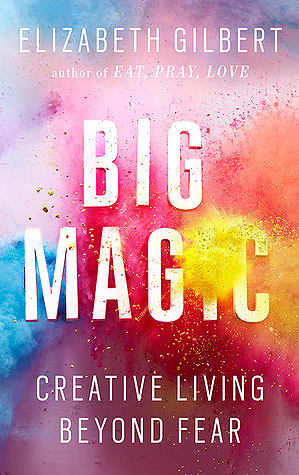 I grabbed Big Magic in audiobook form after being pummeled with hints from the universe. Right off the bat, I was thrilled to hear that the delightful voice I was listening to, belonged to the author herself, Elizabeth Gilbert. If you decide you want to try the audio version–I promise you will not be disappointed. In fact, I feel as if Gilbert brings something extra to the reading through her connectedness to the content. BUT…my one disappointment as I devoured Big Magic, was that I wasn’t able to underline quotes that I wanted to return to. I wasn’t able to write little notes in the margins–I always do that with books that will clearly be my companions over and over again though the years. While adding to that list of quotes, I quickly realized I could keep going for pages. Make no mistake–I want to, but I won’t–for your sake. But if you do want more, you can click the link and see all the quotes that effected people on Goodreads. 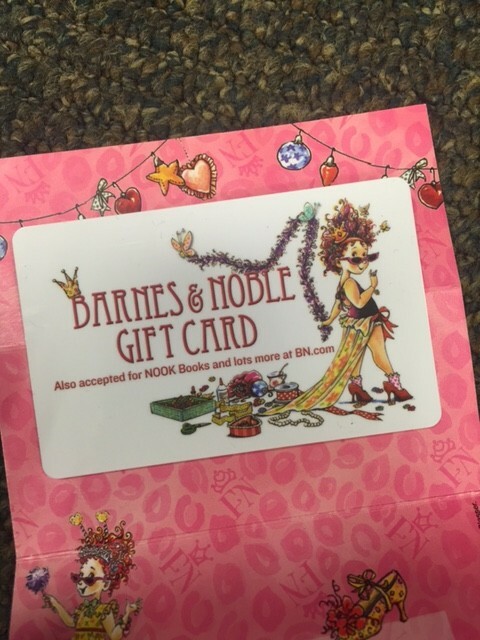 I had received a Barnes & Noble gift card as a thank you from three of my little ballerina’s this year. I hadn’t used it yet, because when you receive a special gift from special people–the purchase should be just as memorable as the people who gave it to you. I finally knew what to do with it. My ballerinas bought me a copy of Big Magic, which is it’s own kind of magic. Next time I see those girls, I’m going to have them write something in the cover because very quickly, little magic grows into big magic, and I always want to be reminded of that. I believe that our planet is inhabited not only by animals and plants and bacteria and viruses, but also by IDEAS. Ideas are disembodied, energetic life-forms. They are completely separate from us, but capable of interacting with us–albeit strangely. Ideas have no material body, but they do have a consciousness, and they most certainly have will. Ideas are driven by impulse: to be made manifest. And the only way an idea can be made manifest in our world is through collaboration with a human partner. It is only through a human’s efforts that an idea can be escorted out of the ether and into the realm of the actual. Therefore, ideas spend eternity swirling around us, searching for available and willing human partners. (I’m talking about all ideas here–artistic, scientific, industrial, commercial, ethical, religious, political.) When an idea thinks it has found somebody–say, you–who might be able to bring it into the world, the idea will pay you a visit. It will try to get your attention. This is how my writing process works. When I wrote my debut YA novel, Touching the Surface, I had this niggling fear that once I was done with it, I would have no idea what to write next. But I didn’t have to worry. Once the story became fully formed in my mind, the next idea landed. I was still revising and working with my editor, but I knew I had captured the truth of my story and it would one day soon have wings. And as that happened, there was room for the next idea to perch along side me and begin to take shape. This happens every single time. In fact, I was never as joyful as I was recently, when the next new idea flew at me. I have been “struggling” for quite a long time on my latest book. Dare I say it has been much like a dyslexic reader trying to attack War and Peace. It is a great idea–a worthy idea. It is an exciting and fulfilling idea. But it’s also been less then flexible at times–like a cold lump of clay that has had to be worked over and over again to find it’s shape. So, when the next new idea for a project began to relentless peck at me, I did a happy dance. I was a roller coaster that had reached it’s highest point after slowly chugging along for what felt like an eternity. 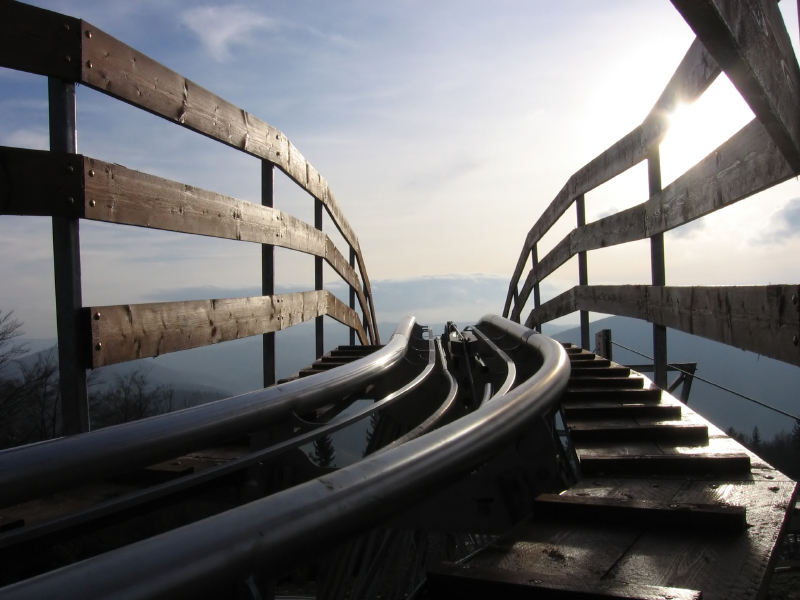 There is still track to ride, but I now have momentum to move me along. I have finally captured the essence of my current project. And I know I’ve done it according to the idea’s expectations, because it’s now inviting another idea to work with me. I feels as if my former employer had given me an outstanding letter of recommendation. What I’m trying to tell you is that I didn’t fall in love with Big Magic because it told me things I didn’t know. The opposite was true. Elizabeth Gilbert spoke to me because she put into words all the things that I already knew to be true about ideas, fear, creativity, hard work and magic. I resonated deeply with what she said. Magic has always been discretely woven throughout my books, like delicate, shimmering threads that wait for someone sees the glint. But outside of that, my thoughts on magic have mostly been deep held beliefs I’ve been afraid to say out loud. What if no one else has these kinds of thoughts or experiences and I’m just a big weirdo? And that’s the gift of Big Magic. So, go read it because there are ideas out there waiting for you. They are trying to get your attention. Have you read Big Magic? 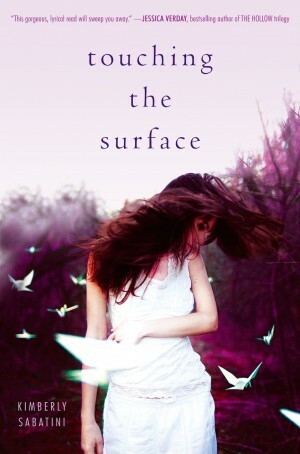 Is it on your TBR list? What is your proof that big magic exists? 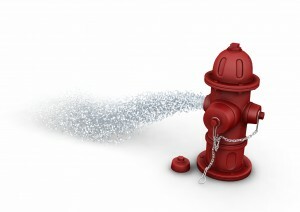 How do ideas find you?